Hello Frndzzz.. www.dealsnloot.com Again Back With New Loot Deal. Pay via cash on delivery or any other suitable payment methods. Warranty Time – 6 Months. 100% brand new and high quality 13000mAh portable mobile power bank. 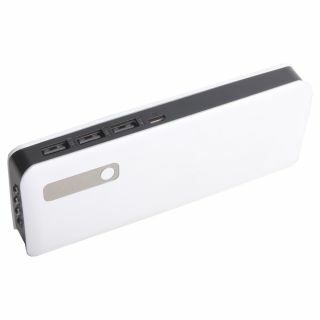 Come with double USB outputs, it can charge Three devices at the same time when the total current of the Three devices can not exceed 2.1A. Use the included USB cable to charge the power bank. Designed with protective functions, it can prevent short circuit, over charge, excessive discharge and others to protect your devices. Super large capacity, portable design, metallic edge, comfortable feeling and easy to use.